Pure Vape proudly offers the cleanest vaping experience with a wide selection of strains and products to meet all of your 710 needs. All Pure Vape products are lab tested and deliver high potency alongside delicious cannabis-derived flavors. Their menu offers something for everyone, with potency that will satisfy the most seasoned smoker and terpenes that entice and excite with every puff. Pure Vape is a Southern California based company founded in 2014. The founders banded together to craft 100% organic and solvent-free cannabis extractions. Since the launch of their brand, Pure Vape has taken SoCal by storm. The cannabis community took to their sleek design and potent cartridges immediately, and the transparency of lab tested products solidified trust among oil enthusiasts. Pure Vape was proud to bring home a HempCon Cup for “Best New Product” and “Best Cartridge” at HempCon 2016. 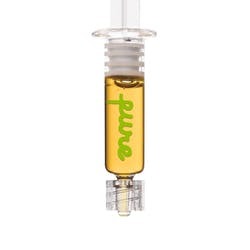 Today, the Pure Vape team strives to continue serving the cannabis community the best, award-winning concentrates. 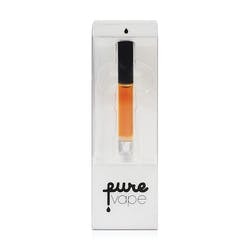 Pure Vape offers 100% organic, and solvent free cannabis concentrates -- from their distillate to their cartridges, every product is double lab tested. They begin with testing their starting material, ensuring the flowers they use to craft their concentrates are the cleanest and most potent. Then they create their uncut concentrates free from glycerin or glycols. Pure Vape has a menu you will fall in love with! 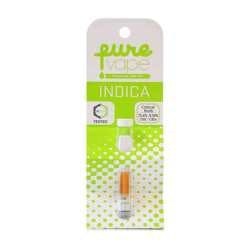 Their line of PureONE CO2 Cartridges offers strains of every variety -- Indica, Sativa, or Hybrid. Check out their rendition of cannabis strains Paris OG, Tangie, or Gelato 33 and experience the flavor profile and effects found in the original flowers at their magnified state. They even offer disposable vape pens for easy, on-the-go relief. Ramp up your energy with their Sativa Blood Orange or Honeydew Popsicle Disposables or for a well-balanced high, puff on their Hybrid Apple Cinnamon or Citrus Tsunami pens. 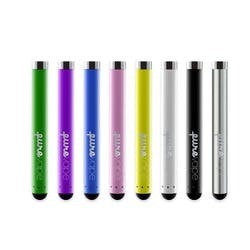 Pure Vape has also crafted a line of sleek and stylish batteries to facilitate your vapor needs. 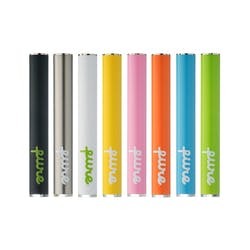 Go classic with their black, silver, and white PureONE batteries or have fun with a pop of color including vibrant pink, yellow, orange, blue, and green. No matter where on the vaping spectrum you are -- from a thick cloud producer to light, dainty puffs -- Pure Vape has you covered with their line of small and large batteries. Experience cannabis versatility at its finest with Pure Vape distillate Syringes. Eat it, dab it, smoke it, love it! 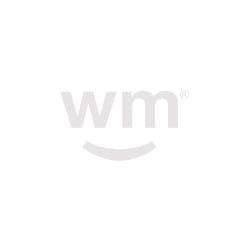 Their pure distillate oil is offered in Sativa Lemon Haze, Hybrid Strawberry Cough, and Indica OG. No matter what you choose from the Pure Vape line, you’re sure to have a euphoric time. Pure Vape is committed to maintaining the highest level of consistency and purity. Every batch Pure Vape produces is tested by SC Labs before and after extraction. The CBD disposables are AMAZING. 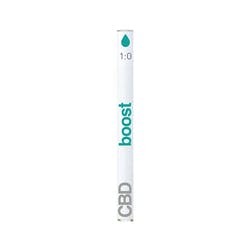 The 4:1 Rise & Shine and the 1:0 Boost are incredible and taste BOMB! Boost tastes like iced grape and Rise & Shine tastes like starbursts! All of the disposables are great too, love the Indica especially! I love this stuff! I just wish clubs didn't mark the price up sky high. $40 a gram including tax is a very fair, compassionate price but I've only seen 1 club offer it for this price, THC in Berkley. Inconsistencies in prices is a real issue in the cannabis market, it's hard to find compassionate clubs who don't unfairly mark up the prices on these products because they are good products. This distillate tastes good, vapes clean and doesn't even taste bad. This is the only product I've been buying lately. 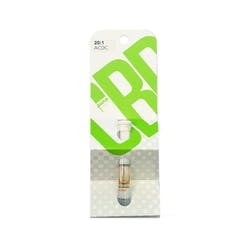 Buy an empty, refillable cartridge online, a vape battery and refill your own cartridges, saving at least half the cost of buying cartridges that are already full. You can also save the old cartridges you've used the oil out of, don't throw them away, they are $$, reuse them. Unscrew the mouthpiece from the cartridge and refill it using this syringe. This product is a game changer and should be made by more companies. I love Pure Vape.